I recently viewed the new model home (unit 2A) at One Museum Place, located directly across the High Museum of Art in Midtown, Atlanta. The project came together quite nicely, both inside and out and I am excited to show it to you! It doesn’t get much better for Intown living! The model home has direct facing, dramatic views of the museum. The development is adjacent to Ansley Park and you can literally walk to everything. One of the nice things about One Museum Place is the units are white boxes (the majority of them), so you can still choose your interior finishes. This is done frequently in many of the high-end condominium markets around the country. I really love this idea because you have the ability to completely customize your home to your liking. It is also pretty easy to make changes to the interior as well. In this building, most of the floor plans are different, even in the same stack. There has been a ton of customization in the building and it’s evident as you walk through the units and floor plans. This particular floor plan was quite popular and is the only one left in the stack. That being said, it’s not officially on the market for sale. Last I knew, it was priced at $2,317,000. That could have changed by now, so don’t quote me on this one! The home comes with a private 2-car garage (inside the gated garage) and has direct elevator access into a private foyer. One Museum Place is all about privacy and nearly all of the units have private elevator access. This home is approximately 3,310 square feet interior. Unfortunately because of the buildings design, there is no lanai or outdoor space for this floor plan. There are windows that open up, but you don’t have an outdoor space to enjoy privately. 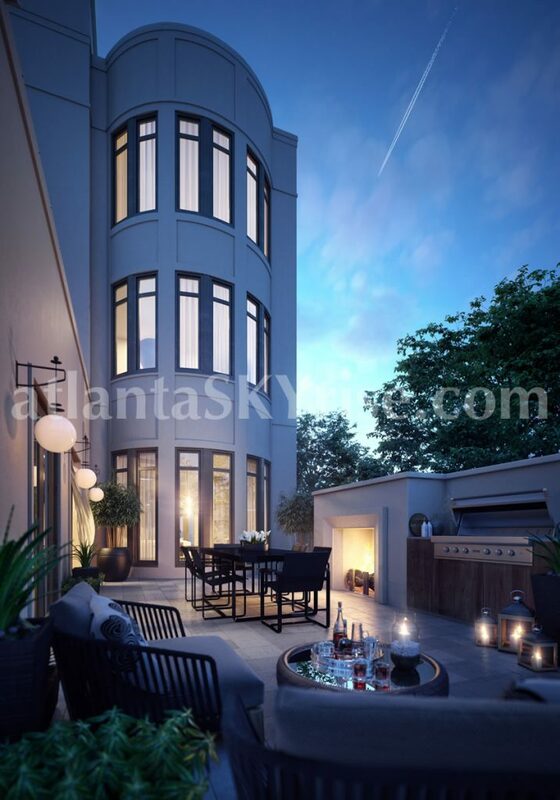 The “A” floorpan fronts Peachtree and looks out toward the High Museum of Art, with views to the West, Northwest and Southwest. There are two bedrooms, 3 full baths and one half-bath. There is also a separate den, which can double and a third bedroom in a pinch. Most of the interior space is devoted to the living areas. There are three separate spaces to enjoy, including a living room (approximately 27’6′ x 21′), dining room (approximately 24’6′ x 12′) and den (approximately 15’6′ x 19’6″). Overall, the unit is spacious and filled with light. What about street noise? It is pretty minimal. The developer did a great job of using quality finishes on the interior and exterior. What is for sale at One Museum Place? Please call me for a private tour – tours are by appointment. Click on the photos below for your tour!